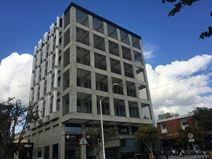 This centre is part of a modern building surrounded by a number of boutique retailers, banks, legal firms, restaurants and cafes. Its strategic location allows for easy access to both the old and the new ports. The site offers a range of services and facilities including videoconferencing capability, 24-hour access, on-site support and management teams, secure parking and luxurious contemporary furnishings within the fully equipped and exceptional quality office suites available. This is a highly sought-after business centre, due to its strategic location. This prominent building is superbly located, just moments from eateries, banks, and more. 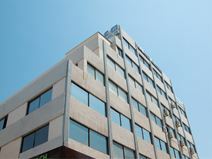 This serviced office centre provides excellent quality offices with plenty of light, the latest in high-tech communications technology, and unique works of art. Close by, you can find venues in which to host conventions and conferences. These offices, shared with other like-minded professionals, are accessible 24 hours a day. Here, offices come fully furnished and you can also make use of the on-site meeting rooms for presentations and training seminars. The business centre is easily accessible by both car and train, with the closest station being only one-minute walk away. The office also boasts a secure car park for easy access. This accommodating space offer a range of workspace solutions for businesses of any background; virtual offices, hot desking options, meeting rooms and conference facilities are all offered at great prices. There is 24-hour access, high-speed internet, secure on site parking and reception services for optimum convenience. The centre benefits from a strategic location, close to many public transport links and luxury boutiques, as well as restaurants and cafes. 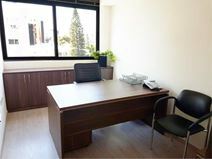 Located in the heart of the city, within a modern building, these offices are fully furnished with all facilities and services needed to run a successful business: multilingual and experienced staff, advanced telecommunication technology, filing cabinet, comfortable sittings and coffee table. The building is situated in a key location, within walking distance of all major banks, courier services, first class restaurants, cafés and 5 minutes’ away from a blue flag rated sandy beach.